CBSE Class 12 examination: The schedule of the examinations for other subjects of class 12 is same as announced earlier on the website. 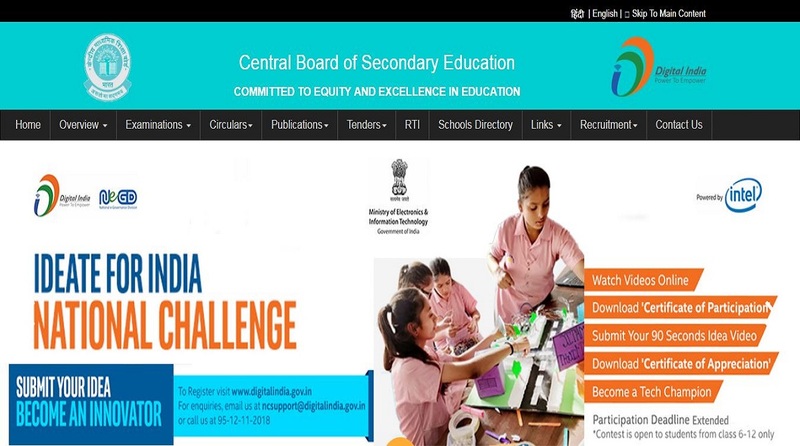 CBSE Class 12 examination: The Central Board of Secondary Education has changed the examination dates of some subjects of Class 12 board examinations. The dates of various subjects like Computer Science, Philosophy, Entrepreneurship, Human Rights and Studies, Theatre Studies, Library and Info. Science have been revised. • Information Practice paper that was earlier supposed to be conducted on March 28, 2019 will now be conducted on April 2, 2019. • Computer Science paper that was earlier supposed to be conducted on March 28, 2019 will now be conducted on April 2, 2019. • Philosophy, Entrepreneurship, Human Rights and Studies, Theatre Studies, Library and Info. Science papers were earlier scheduled to be conducted on April 2, 2019 will now be conducted on April 4, 2019. Direct Link: The candidates should check the official notice here for important Information. The schedule of the examinations for other subjects of class 12 is same as announced earlier on the website. • CBSE Class 10 examination will begin on February 21, 2019 and will end on March 29, 2019. • CBSE class 12 examination will begin on February 15 and will end on April 4, 2019.